እውን የኢትዮጵያ ህዝብ ችግር ይሄ ነው? የኢትዮጵያ መሰረታዊ ችግር የዲሞክራሲ እጦት እና የፍትህ ጥማት ሆኖ እያለ በቀላሉ የሚገኙ እና በሚፈበረኩ ሶሻል ሚድያዎች እንደ ፌስ ቡክ ባሉ ገጾች የሚያወጡትን የስም ማጥፋት ህግ በሚከበርበት ሃገር ላይ ተቀምጠን በዝምታ የምናልፈው ነገር እንደማይሆን ሊያውቁት ይገባል!! Ethiopia: Where is the ‘double-digit growth’ and rapid development? Where is the ‘double-digit growth and rapid development the ethnic apartheid regime of the TPLF/EPRDF vouching about? Addis Ababa has more than 3 million people, but there are just 63 public toilets. 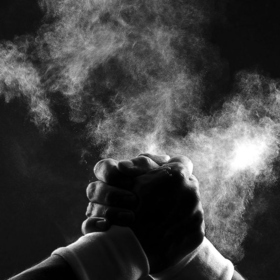 The truth must be admitted and openly discussed, for tensions related to it have become a source of potential backlash that could evolve into violence and instability. Addis Ababa has more than 3 million people, but there are just 63 public toilets. At one, in the oldest part of the city, there is constant activity and bustle as people queue to pay varying prices for a urinal, full cubicle or shower in the white-tiled facility inside a circular yellow building. For many, this is the only option because of the lack of provision in their own homes. Nine in 10 households use “non-improved” toilet facilities, according to the Wash Ethiopia Movement. The most common type of non-improved toilet is an open pit latrine or pit latrine without slabs, used by 57% of households in rural areas and 43% in urban. Only one in 25 households has access to improved toilet facilities which are not shared with other households. Government figures show that diarrhoeal diseases are among the 10 most prolific in the country. “These are one way or another linked to an unhygienic environment,” Berhanu added. But officials in this fast-developing city say they have a 100m birr (£3m) plan to build an extra 25 public toilets within the next year along with 103 community and 289 mobile toilets, the latter equipped for pregnant women and people with disabilities. About 150 areas have been identified, including markets and bus and train stations. At a community toilet shared by 35 households in an impoverished neighbourhood of Addis Ababa the scene is typical: behind a corrugated iron door, beside dirty scraps of paper and tissue, is a small, dark hole in the floor. Above, a cable runs to a naked lightbulb. The stench is rank. These four toilets are used by more than 200 people a day. Those who live here describe them as undignified, unhygienic and inhuman. ይድረስ በውጪ ሃገር ለምትኖሪው ውድ ልጄ፤ ባለፈው ሰሞንልሽ… ያቺ ከበታቻችን ያለችው ቀጭኗ ሴትዮ… ምነው እንኳ ቀበሌ ገባ ወጣ የምትለው… እ… እርሷ ወደቤታችን ብቅ ብላ ነበር። እና ታድያ፤ ዲያስፖራዋ ልጅዎ እንዴት ነች… ብላ ብትጠይቀኝ ጊዜ ኧረ እኔ እንዲህ የምትባል ልጅ የለችኝም ፍቅርዬ አበራ… ማለትሽ ነው… ብዬ ጠይኳት፤ እርሷቴ ”በውጪ ሀገር የሚገኝ ማንኛውም ሰው ዲያስፖራ ነው የሚባለው” ብላ ነገረችኝ። አከል አድርጋም፤ ”በልማቱ ተሳታፊ ከሆነች ልማታዊ ዲያስፖራ ልማቱን አደናቃፊ ከሆነች ደግሞ የቀድሞ ስር አት ናፋቂ ነው የምትባለው!” ስትል ጨመረችልኝ፤ እኔም እንዳላወቀ እንዳልገባው ሆኜ፤ የወደፊቱ ስርዓት ናፋቂዎች የሚባሉስ የሉም…. 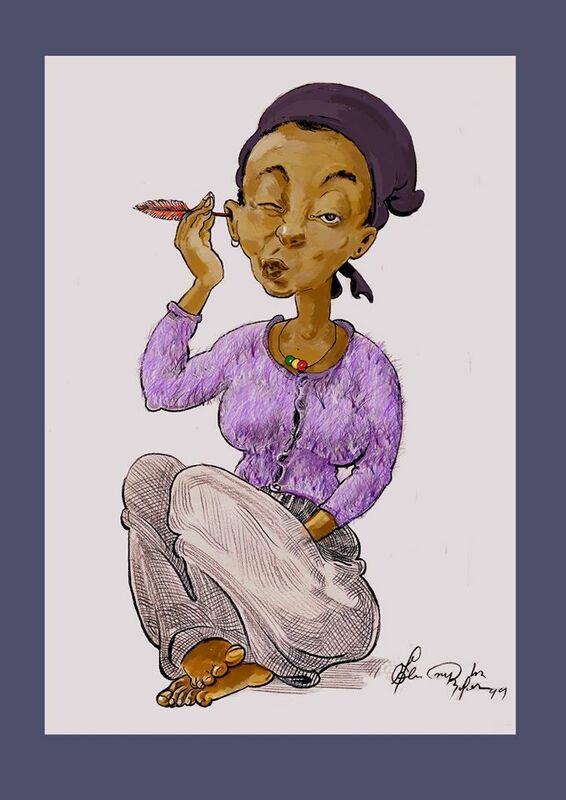 ብዬ ብላት፤ ”ምን አሉኝ….” ብላ ስተደናበር፤ የለ…. እንደው ለቤተሰብ ሳታሳውቁ ስም መለዋወጥ ምን ይሉት ፈሊጥ ነው… ብዬ ገርሞኝ ነው…. 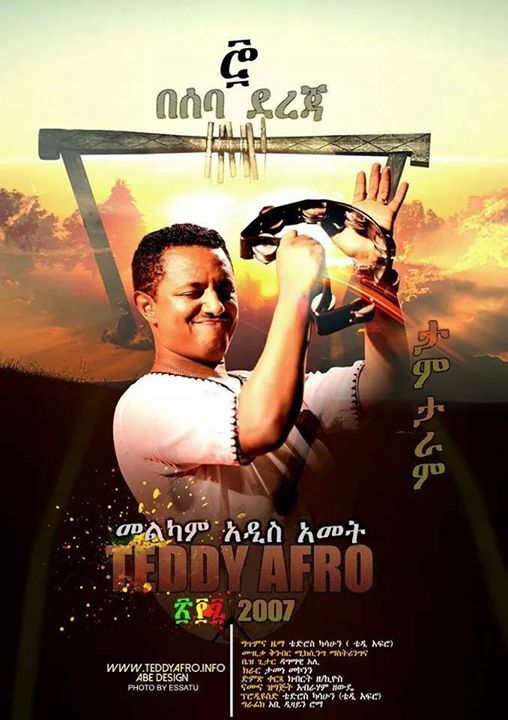 እያልኩ፤ ሳዳርቃት ዋልኩልሽ… እንዲህ በሆነ ባለሆነ ያዝ ካላደረግናቸው የነርሱ ፓለቲካ ማለቂያም የለው ልጄ…. እንዳልኩሽ፤ ሰሞኑን የቀበሌ ሰዎች ወደቤት መጣ መጣ ማለት አብዝተውብናል… ምክኝያቱ ምን እንደሁ እስቲ ከእኛ እናንተ ታውቁታላችሁና ምን ፈልገው እንደሆነ አጣርተሽ ነግሪኝ፤ እውነቴን ነው ልጄ እንደውም አሁን ይቺን ኢሳቴን ከተከልኩ ኋላ ትንሽ ሻል አለኝ እንጂ ድሮማ ኢቶጵያ ቴሌቪዥን የሚለንን ብቻ እየሰማን የመረጃ ድርቅ ገብቶን ነበር። እርግጥ አንዳንድ ወቅት ዜናውን ገልብጦ በመስማት እውነቱን እንረዳዋለን ለምሳሌ፤ ”አንዳንድ አሸባሪዎች በቁጥጥር ስር ዋሉ” የሚል ዜና የተነገረ እንደሆነ አንድንድ ጀግኖች እና ለሀገር ያገባኛል የሚሉ ወገኖች፤ ታግተዋል ማለት ነው… ብለን እየተረጎምን ሃቋን እናገኛታለነ! በነገሬ ላይ ልጄ፤ እንዴት ነው አንቺ እስካሁን ድረስ አሸባሪ ያልተባልሽው… ስንት ጊዜሽ ሀገር ሀገር እያልሽ ስትለፊ እና ስትለፈለፊ አይደል እንዴ የምተውይው… እና ታድያ መንግስት እንዴት ነው እስከዛሬ አሸባሪ ያላለሽ… ልጄ… የጎረቤት ልጆች ሁሉ አሸባሪ ተብለው አንቺ ብቻ ይህንን ማዕረግ ሳታገኚ ቀርተሽ፤ ከሰው በታች አደረግሽኝ እኮ ልጄ… በይ ጠንከር በይ እና ስለ ሀገርሽ ስሪ… እና አሸባሪ ተብለሽ ከሰው እኩል አድርጊን እንጂ ልጄ…. እናንተማ ምን አለባችሁ ልጄ፤ ባለፈው፤ ሚሚ ከፌስ ቡክ አየሁ ብላ እንደነገረችኝ፤ ሰሞኑን ውሃ በባልዲ እየሞላችሁ አናታችሁ ላይ እየደፋችሁ እየተራጫችሁት ነው አሉ። እኛ በጀሪካን አናታችን ላይ ጭነን ከየትና የት ወደቤታችን ለማምጣት አበሳ ስናይ እናንተ ተራጩት እንጂ… ደግሞ ሌላውም ሰው እንደናንተው ውሃ በበረዶ አድርጎ አናቱ ላይ እንዲያፈስ አልያ ግን በህምም ላሉ ወገኖⶭ ገንዘብ እንዲከፍል እያላችሁ ትፎካከሩልን ይዛችኋል፤ አይ ልጄ እናንተ እዛው ርስ በርሳችሁ እንዳሻችሁ ነገር ግን ይሄንን ጥቆማ ወደኛ ታደርጉትና ኋላ እንቀያየማልን ልጄ… እንደምታውቂው የእኛ ሰው በረዶ ይሰራበት ኤሌክትሪክ እንዲሁም አናቱ ላይ ያፈሰው ውሃ የለውም። አንቺ አናትሽ ላይ ውሃ በበረዶ ደፍተሽ እኔ እናትሽን የጠቆምሽ እንደሆነ የግድ ያልሽውን ለማድረግ ጅቡቲ መሄድ ነው ያለብኝ፤ ውሃውም መብራቱም ለጅቡቲ ተሸጦ እኛ ዘንድ በስንት አንድ ቀን ነው…ልጄ። ስለዚህ ”ትጠጣው የላት ትደፋው አማራት” እንዳታሰኚኝ…አደራ እንዳትጠቁሚብኝ ልጄ! (ይቀጥላል… ) ብለን እናክብደው እንዴ…! 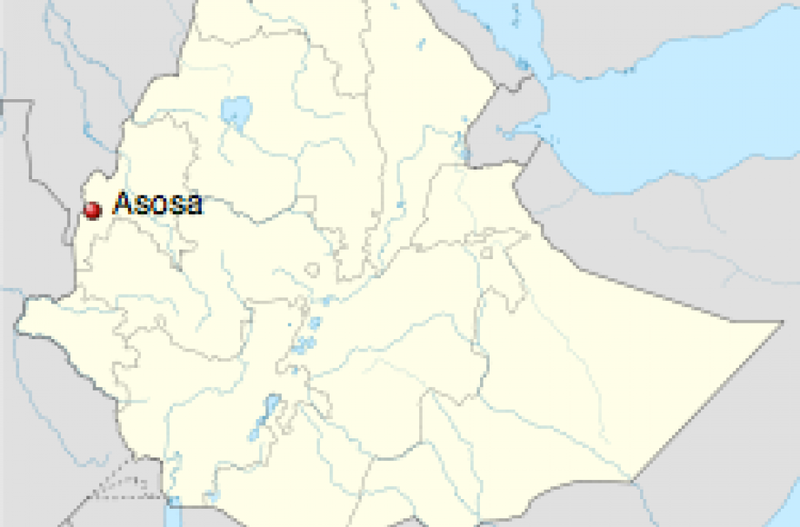 እስከዛ ድረስ ያንን ክራር ወዲህ በል! ታንታራራም ታራራም ታራራም! The Federal High Court 19th bench decided against the appeal presented by the bloggers and journalists who are suspects and are charged by the federal prosecutor and held under custody for the last 125 days. The court passed the decision on August 20. 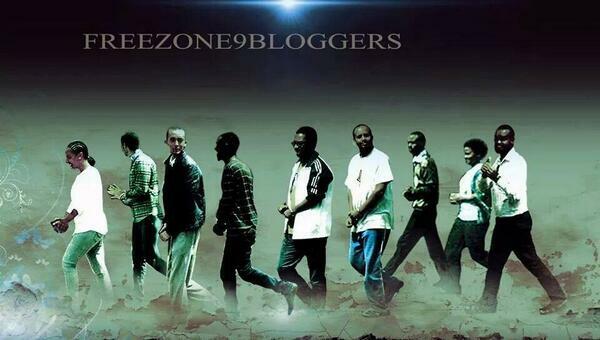 The six bloggers in custody are Atnaf Berhane, Befekadu Hailu, Abel Wabela, Mahlet Fantahun, Natnael Feleke, and Zelalem Kibret. Soliana Shimeles was charged in absentia. The three journalists are Tesfalem Waldyes, Edom Kassaye, and Asmamaw Hailegiorgis, an editor at the weekly magazine, Addis Guday. The suspects argued that one can deny the bail only if the charge falls under article three of the anti terror proclamation No. 652/2009 and they further argued that a suspect is denied bail if the suspect has committed one or more actions listed under article three of the proclamation. However, they mentioned that the federal prosecutor could not provide at least one action listed in the article and the prosecutor rather mentioned article four of the proclamation, which is not appropriate and hence added that the charge is not presented based on the anti terrorism proclamation and requested that their case be seen in a regular procedure of law and grant them bail. On the other hand, the suspects also claimed that their case needs constitutional interpretation and the charge brought to them is against the constitution and bail right is denied from the presumption that if bail is secured, the suspects may disappear. According to the court decision, the prosecutor charged suspects for the protection of the public and the government and therefore it can present the case narrowly or widely and say that the court is examining the charges brought against them based on the anti terror proclamation. Whether the case been seen by the regular law or by the anti terror proclamation the charge is presented by the country’s the anti terror law. Another appeal by the suspects that is the case of constitutional interpretation. The court decided that the charge brought against the suspect and the articles in the constitution are not against each other, therefore the court has dismissed their appeal. Another objection that the suspects brought to the court was that the prosecutor said the defendants were organizing other members who are not yet detained. For that allegation, they argued that the prosecutor did not provide the list of the names of those suspects and this in turn narrows their right to defend and also creates a state of fear on others who might be witness in favor of them. Moreover, in relation to the items that the prosecutor holds as exhibit, since the items have got nothing to do with the charge, they requested the court to order the reimbursement of the items. In relation to the charge that states that they were disseminating articles that incite public violence, the suspects said that the prosecutor did not refer to anything about the where, when and what of the dissemination of articles and present their objection by requesting the court to drop or change the charge. After the court passed the decision of granting the defendants bail the lawyers of the bloggers and journalists stated that they will appeal the case to the Federal Supreme Court. The court adjourned for October 15, 2014 to hear the preliminary objection by the federal prosecutor.